TEMPE, Ariz. (AP) – A man shot by Tempe police for allegedly charging an officer with a box cutter last week has died. 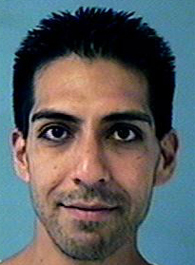 Tempe police say 36-year-old Austin Del Castillo died Wednesday at a Tempe hospital. He had been in critical condition since the Sept. 12 incident. A man who saw a Tempe police officer shoot Austin Del Castillo says the version of events police provided to media outlets is “very different” from what he saw. Del Castillo was shot outside the Chili’s restaurant on the corner of Mill Avenue and University Drive in Tempe, and died last week as a result of the shooting. The witness, Boyd Branch, tells New Times he was driving on University Drive when he stopped for the police cars heading to the restaurant and ended up watching the shooting take place. Tempe police shot and critically injured a man they say lunged at officers while brandishing a box cutter Thursday morning. Police identified the man as Austin Del Castillo, 36. He remained in critical condition with life-threatening injuries Thursday night, police said. Officers were called to the Starbucks at Mill Avenue and Fifth Street at 8:18 a.m. on reports that a man standing near the store was disrupting and threatening people with a knife or box cutter. This entry was posted in Arizona, Dead, Man, Shot by Police on September 12, 2013 by usgunviolence.